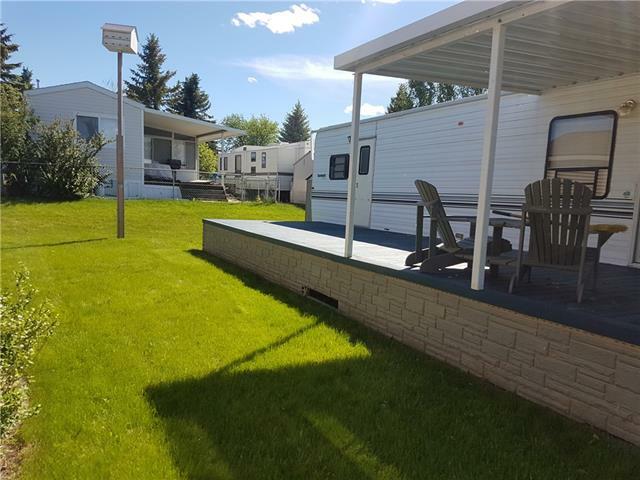 Excellent location just steps from the Marina in Phase III. 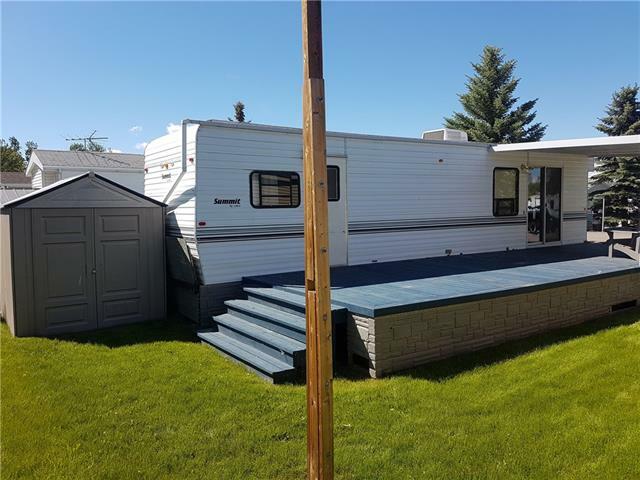 Nice open lot a very large deck half covered with a metal awning for a graet sun/shade mix. 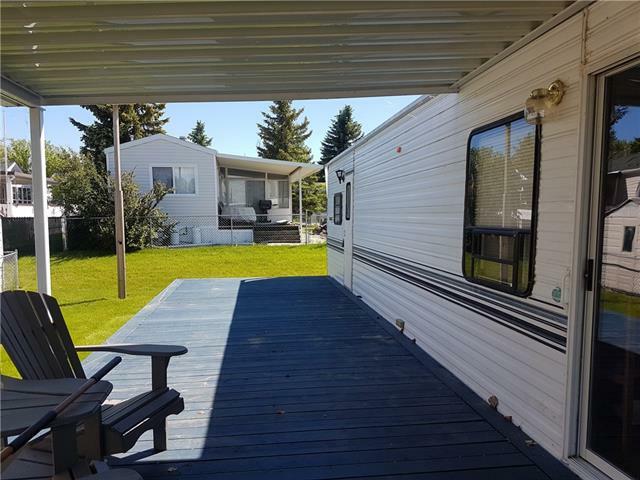 This spacious 40', 1 bedroom trailer with 2 slides has a queen bed and hide-a-bed in the living room. Full sized fridge, stove, microwave and double sink. 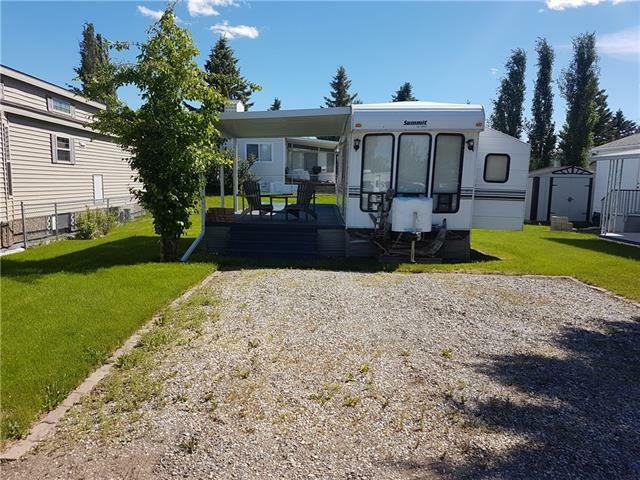 This property is listed by CIR Realty and provided here courtesy of Calgary Real Estate. 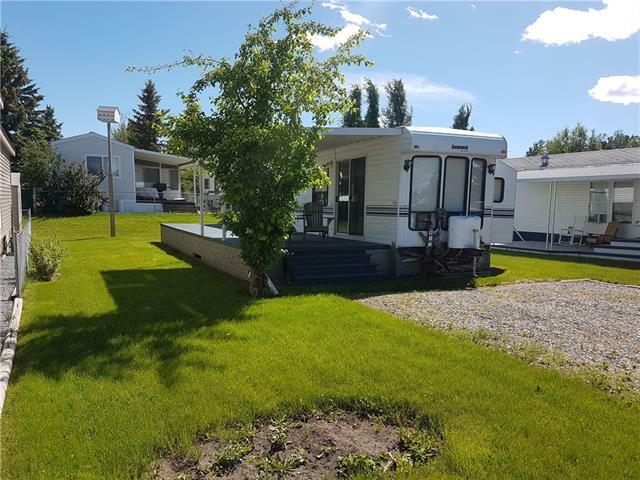 For more information or to schedule a viewing please contact Calgary Real Estate.